For over fifty years, no girls have been born – only boys. The youngest and last generation of women alive are now in their fifties. Not only are their looks fading, but these greying women are humanity’s only hope for survival. Until there is sudden hope: a girl is born. And in that moment, she instantly becomes the most important person in history. Ahh young love, what could be more beautiful or exciting … only freedom. 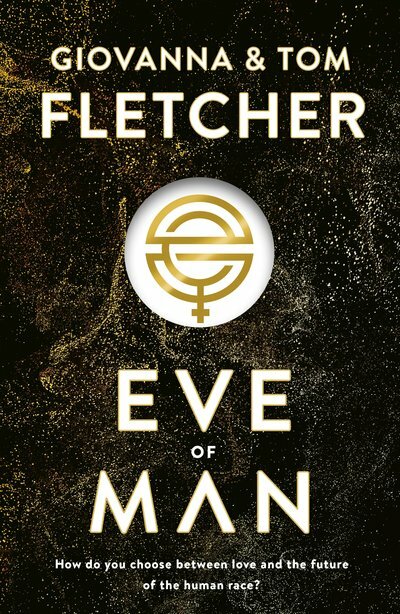 In Giovanna and Tom Fletcher’s first foray into co-writing for a YA (young adult) audience, Eve of Man explores the idea of ‘what if you were the last woman on earth’. This novel could have been an opportunity to explore ideas of equal rights or gender roles in society, but instead the Fletcher’s focus their narrative on the power of lies. An event that so recently has victimised our own political world. Eve, the main character, has spent her life protected in a gilded cage at the top of the tallest tower, not totally unaware of the lies that have entrapped her. It is only with age that experience teaches Eve to take every opportunity to find the truth in her world, no matter the risk. But she is not as alone in her risk taking as she thinks. With reminisces of Rapunzel meets The Handmaid’s Tale, this novel is the beginning of an epic journey to save the humanity from extinction. It is clear that the authors are appealing to their audience through a ‘boy rescues girl’ trope, with an illusion that Eve is the one in control of her own fate, however, there is nothing wrong with having hope that the future will be better for all of us.